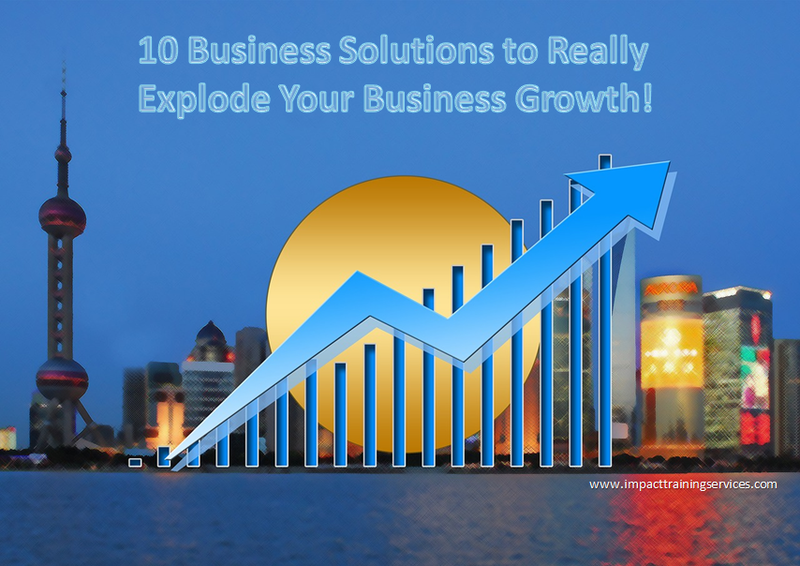 10 Business Solutions to Really Explode Your Business Growth! You are here: Impact Training & Development Services > 10 Business Solutions to Really Explode Your Business Growth! Wanted: Small Business Solutions! At all costs! Aaahhh…business solutions for your small business...they are so desirable but oh so elusive! How do you know what is right for your business? How do you know when is the right time? Do you have the courage to try something that just might not work? Hello, I am Lorna Barrow and I have been a one-stop source for providing affordable business solutions to small business owners from around the Caribbean. And I have been doing so for more than 20 years. In addition, have started or acquired several businesses of my own. Well, the time came, when I knew I could no longer avoid answering this question. I also knew that what you were really asking me for was smart business solutions to improve yourself and your business. In order to answer you, I decided to reach out to other small business owners with a question of my own. What core business solutions would you offer other business people that will help them to really explode their business growth? 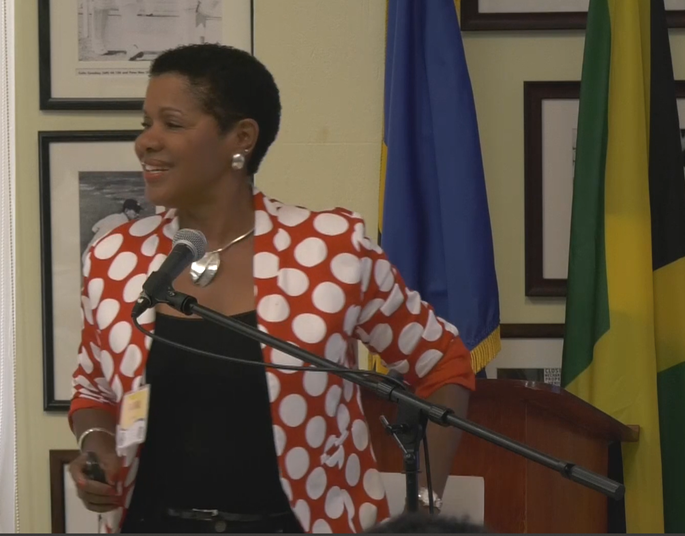 I talked to approximately 300 product-based and service-based business owners, mainly from across the Caribbean. They included consultants, coaches, beach vendors, manufacturers, retailers, contractors, service providers, boutique owners, painters, plumbers, tilers, artists, tax accountants and corporate trainers like myself. I interviewed business owners and entrepreneurs below and above 50 years old. Some I knew, some I didn't know. I had conversations with both men and women, and those who work exclusively from home. When I decided to stop the questioning and start analysing the answers, I saw a certain pattern emerging. Over and over, there were a set of failures, flaws, frustrations and fears that appear to be common to all the businesses. But what I found exciting was that a similar set of quality business solutions kept coming up to fix what I want to call those “F-Factors” mentioned above. Furthermore, I couldn't help but notice that these personal business solutions were almost all about something business owners could do better, could do more of, could learn to do, etc. They did not mention any issues relating to their external business environment. When I shared my findings with some of the business owners I had interviewed, their reactions confirmed this. Some said that they had used some of the solutions in their businesses and had gotten really good results. But many said that they wished they were more aware of them so they could have used them in their businesses. And so, for all you serious business owners like me, I have boiled down my extensive but informal research into “10 Business Solutions to Really Explode Your Business Growth” . They are practical, they are relevant to any small business and they have already been tested "positive" since they come from small business owners just like you. Want your blog posts hot off the press & straight to you inbox? Just leave your email below. I am a Business Breakthrough Specialist, Speaker, Coach and Corporate Trainer. I have over 25 years of working with small businesses and loving it! I love writing and you can also get tips and howtos from my weekly newsletter and my business and self-development blog.